Of all the seasons, winter is often the hardest for people to get through. With winter comes seemingly endless freezing cold temperatures, gloomy grey skies and shorter days. All of these characteristics of winter take their toll on our overall well-being, especially when our surroundings are less than vibrant. What can we do when the winter blues are hitting hard? Well, we could start by taking a cue from the Danes. Scandinavian countries are ranked as some of the happiest in the world, despite their long and brutal winters. One of their secrets is the lifestyle they live based upon the principle of hygge. Hygge capitalizes on comfort and coziness to bring yourself a feeling of complete contentment. This trend gained huge traction in the U.S. in 2017, and only seems to be growing as more and more people seek a path to inner happiness. 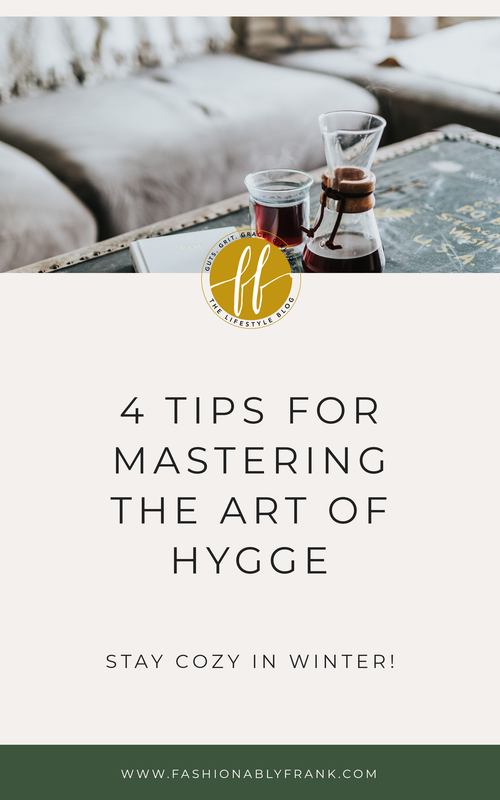 One of the best parts of hygge is that the steps to recognizing it varies from person to person. Still, there are a few tips that every person can use for maximum comfort and contentment. Some people prefer to be surrounded by others they care about, while others crave time to themselves. Do what you need to make yourself happy based on your personal preferences. We spend so much time in our beds that they had better be comfortable. That all starts with a good base and there are plenty of quality and affordable mattress options. From there, make sure you have bedding that works for you and a cozy comforter to top it all off. On rare sunny winter days, take advantage of the light by opening your curtains and spending some time outside. Otherwise, try surrounding yourself with an atmosphere that mimics natural light or soft lighting that is easy on the eyes and comforting. Self-care is extremely important, especially on gloomy days, and having a relaxing spa day is an easy way to relax and find comfort in yourself and surroundings. Light a candle in your favorite scent, put on a face mask that works for your skin type and do whatever helps you relax. Which one of these tips will you begin to implement in your day-to-day?? Snag access to our FREEBIE library + love letters from yours truly! Thank you for signing up, darling! We can't wait for you to receive our first love note. In the meantime, keep on browsing, or check your email for the password to the FREEBIE LIBRARY.